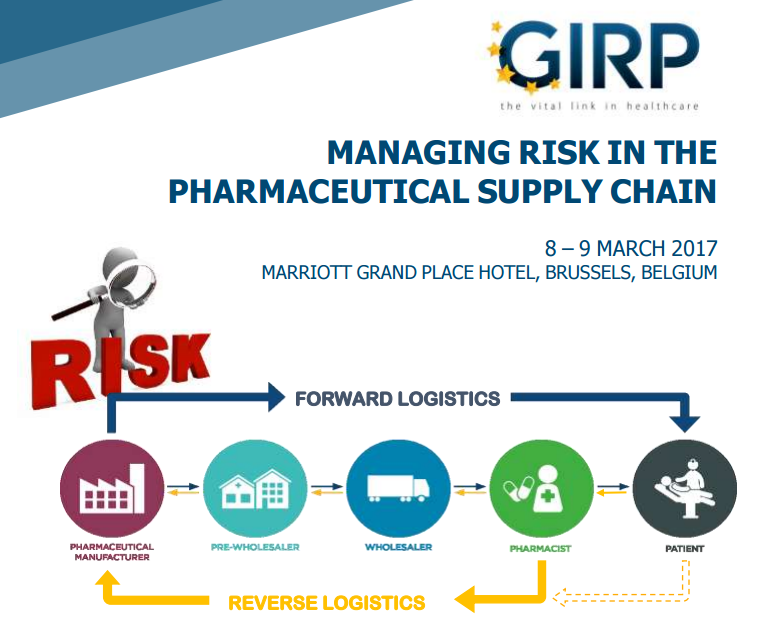 Our partner the European Healthcare Distribution Association (GIRP) is hosting an event on Managing Risk in the Pharmaceutical Supply Chain on 8-9 March 2017 in Brussels. The conference will discuss how the pharmaceutical industry, healthcare distributors and other partners in the supply chain can manage risk when storing and transporting medicines and healthcare products. Attendees will have the opportunity to discuss the challenges they face and to share existing best-practices that ensure products reach patients safely. A strong supply chain is a crucial element in making sure patients are not exposed to fake medicines when purchasing from legitimate sources. As the issue of fake medicines evolves, Fight the Fakes welcomes all efforts to maintain and strengthen the supply chain across the globe.